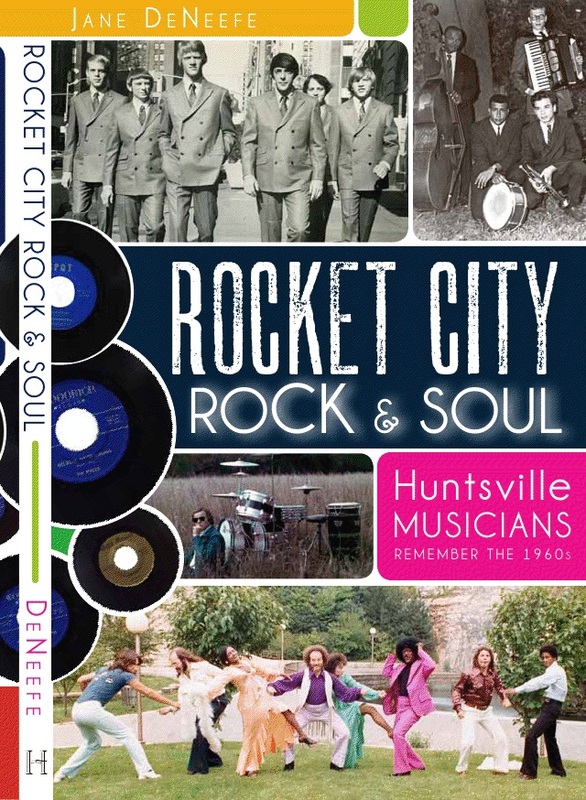 Jane DeNeefe’s book Rocket City Rock and Soul: Huntsville Musicians Remember the 1960s (History Press, 2011) is now cataloged in the reading room of the Rock and Roll Hall of Fame! "You grow up thinking you know your parents, but I found out only recently that back when I was a little baby, my father was involved in Tina Onassis's divorce." "Ivy Joe would sing and the white guys would back him up." “Marengo County: Reclaiming the History,” adapted for audio from Alabama’s Civil Rights Trail: An Illustrated Guide to the Cradle of Freedom. Column I wrote in 2006 about a controversial painting a medical educator had commissioned. Jane DeNeefe with Dr. James A. Pittman, Dean Emeritus of UAB Medical School, 2006. About the book Lost Worlds in Alabama Rocks. Everybody knows the 1960s were turbulent in Alabama. The general facts have been established: Huntsville managed to accomplish racial integration with less violence than Birmingham or Montgomery. Back then, just like now, Huntsville’s business community was motivated by its special relationship to the federal government. To maintain our image as a forward-looking “space capital” or “rocket city” we really had no choice but to desegregate public facilities. Faced with local civil rights demonstrations, Police Chief Chris Spurlock did everything he could to keep Huntsville’s civic life civil. Teenage musician Ivy Joe Milan also did his part to integrate Huntsville. As part of the first big wave of black students to attend Huntsville High School, he was looking for a way to shine. So Ivy Joe was delighted when Tommy Graham, Chris Couchois, Billy Brown and Mike Byrum asked him to front their new band. Ivy Joe would sing, and the white guys would back him up. Ivy Joe had always managed to find his own way. As an experienced “shoeshine boy” downtown, he was already an independent businessman. And he knew all the rock and soul classics. Effective social change rarely occurs by administrative decree. Social change starts with individual acts of courage. As teenage musicians, “Ivy Joe and His Snowballs” helped Huntsville integrate peacefully. Ivy Joe recalls, “It was all going fine until the night Martin Luther King got shot. That night, the people outside the Night Life Club on Holmes were so frustrated. When he says that, my sense of injustice flares, and I demand a better explanation.